Thanks for this great peace of software! I didn't find information about how to change audio channels. Is it possible in this app to change audio channels? My Provider gives me 90 channels for free (in his IP address network of course) and many of them has more language channels (english, russian, german and so on). When I watch some of those channels, I get default audio channel and cannot change. For some channels I get german, for others russian/english audio. If it's not possible then maybe you can consider to add this availability. Girts wrote: Thanks for info! As I know, "english" will not work, only to letters available - "en" for English, "fr" for French, "de" for German etc. Group title doesn't any affect at this time. Girts wrote: It worked for en/rus/ger fine. Thanks for that! Audio channels are changing in some unknown way on my TV. Sometimes no sound. It is possible to change audio to neccessary channel by switching channel several times to another channel and back. 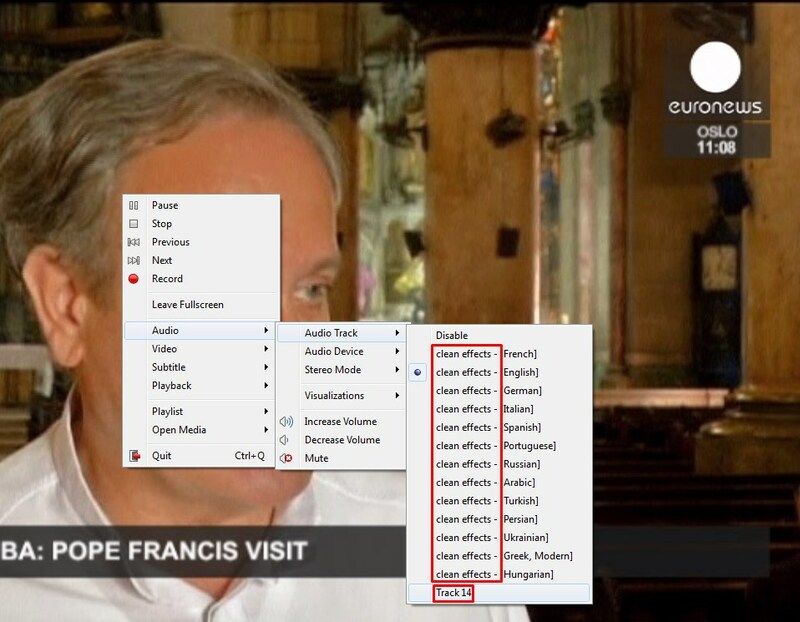 It will be much better if it will be possibility to set audio channel in settings of the program. Maybe make combobox with priority audio stream for all channels. If no selection then audio channel set in M3U file. AG_ wrote: Audio channels are changing in some unknown way on my TV. Sometimes no sound. It is possible to change audio to neccessary channel by switching channel several times to another channel and back. It is impossible to do, as there is no way to let the app know any information about audio tracks. Application has no idia about tracks in the stream. The only way to choose language is to set up "audio-track" attribute in m3u-file. I am trying few codes. How to know, what code really switch language to english. From vlc i was see, english language. MAYBE my ISP in audio tracks renamed to other ID. 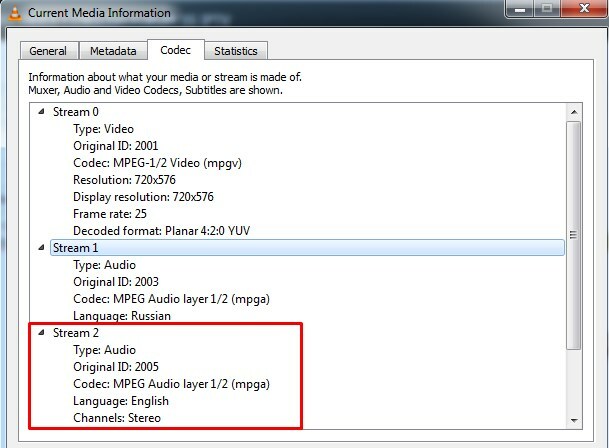 How can read real codes from VLC or other software? Maybe possible choose only track number, beacause in ss-iptv play only 1 tracks, and in no funkcion change language in app. for me actual LITHUANIAN language in audio-track="lit" not working, and some chanels no have audio track names like track 2 and some chanels have name witch clear effect, it mean, that this audio have other ID? On LG audio track may be set only by language. If the track is not identified as a languaged the app won't be able to set it to the stream. There is a problem with initial setting audio tracks for some streams. You can try to write in playlist audio-track="eng, spa, ukr" and these 3 languages inside the app using settings menu on playback screen.